DAVID LE/Staff photo. 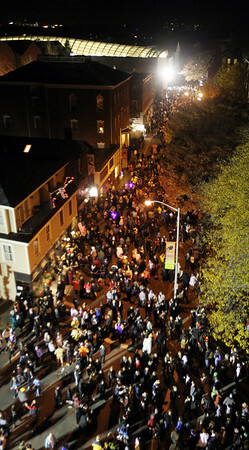 Thousands of people swarmed the City of Salem on Halloween evening. Crowds are seen here moving up and down Essex Street as seen from the roof of the Hawthorne Hotel. 10/31/15.